We value our patients' experience at Kilian Chiropractic. If you are currently a chiropractic patient, please feel free to complete the following Client Experience Questionnaire. The Questionnaire is in Adobe Acrobat format, and requires the free Acrobat Reader to view. "I've been going to Dr. Kilian's clinic for a month now . I really couldn't be more SATISFIED with my experience so far. I have suffered from migraines, lower back pain, and neck tension caused by anxiety and stress, for years. I have tried different massage therapists, doctors, meds, but nothing seemed to work. After few sessions with dr. Kilian , I have noticed improvements. I've still got a long road ahead of me, but I'm so HAPPY to be having treatments that actually work. AMAZING Dr.! He knows exactly what he is doing , and I feel like am in very good hands with him. I am very Fortunate to have found him. I truly Recommend Dr. Kilian to all. "Dr. Kilian truly takes every possible step to engage and help you improve your spinal health. The initial exam is detailed and creates the basis for a personalized plan to achieve long term and lasting improvement with whatever problem you may have. The following adjustments are precise and take little time, I always walk out feeling great. Dr. Kilian and his team are extremely friendly, attentive and passionate about helping you. Compared to other chiropractors, I really like that Dr. Kilian takes a thoughtful and systematic approach providing you with a clear step-by-step plan that consistently reviews the progress you're making. The service also goes beyond the basic adjustments, as Dr. Kilian and his team will make sure to educate you about the steps you need to take in your everyday life to better care for your spine and remain healthy. I find this super important because the adjustments alone will not be enough if you keep doing the things that are bad for your spine. One evening Dr. Kilian even came back to the office after-hours to do an "emergency" exam and adjustment for my girlfriend who had hurt her back shortly before. He was able to drastically improve her condition with the first visit and even more so in the follow-up visits. This just goes to show that he really does whatever he can to provide a great service for anyone that needs his help. I absolutely recommend Kilian Chiropractic, do your spine a favor and pay them a visit!" "I started seeing Dr. Trevor in 2009 to try to correct some problematic back and neck issues that I had been having for many years. It was such a great experience seeing my back problems slowly get better to the point that I have no pain anymore! Regular visits to Dr. Trevor along with my at home exercises he gave me helped in achieving great results. I also asked Dr. Trevor for help to find an alternative healthy solution to a different health issue that arose a few years after seeing him. He helped me alleviate the problem by assisting me with better health and nutrition so the body can heal itself. I’ve learned a great deal about health and wellness from Dr. Trevor and I can honestly say that I feel better now at 40 than I did when I was 20! Dr. Trevor is knowledgeable, kind and compassionate. I was amazed at how he went out of his way to go above and beyond with helping me. Dr. Trevor and his wife Lauren are 2 of the healthiest people I have met. Both of them are a wealth of knowledge when it comes to health and wellness and are willing to help anyone improve their life. 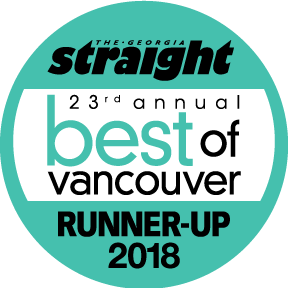 In my opinion, Dr. Trevor is the best chiropractor in Vancouver!" It's almost been a year since I started my treatments with you, and boy what a journey its been! Before I was a total mess, I had no self confidence; I always stayed home scared to leave the house. My life revolved around Becky. I was always sloped over in shame (I was nothing) I always had headaches and did not have much energy either. Today I have broken free of that stuff that held me back a year ago!" "Today I have two feet flat on the ground and not scared of trying something new. There are no more headaches, I feel taller and a lot happier. Trevor, the care you have given me is so fantastic. I wish everyone would have a special doctor like you. But its funny I do not think of you as my doctor, but my friend. And that's no lie!!!! Thank you so much for letting me work in the office. You will never know how much that means to me. That is part of the treatment you have given me. A person that was hiding came out of her shell, and now is living thanks to you. I have included a song by Beth Midler, WIND BENEATH MY WINGS. There are some parts of this song that are so true of you. I would sing it to you but I might start to cry. As part of the song sings? Did you ever know you're my hero? You're everything I wish I could be. Thank you, thank you, thank god for you, the wind beneath my wings."